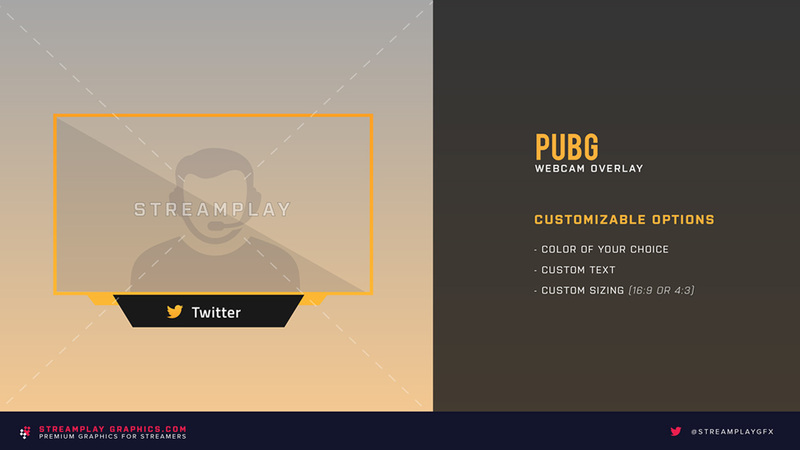 This webcam overlay is branded as a PUBG overlay since it’s part of our PUBG streamer package, but it can still be used for other games since the design is pretty neutral. 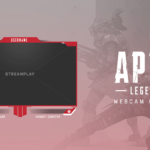 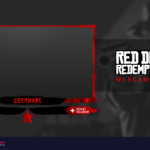 Add your social media to the webcam frame below, or any other custom text of your choosing! 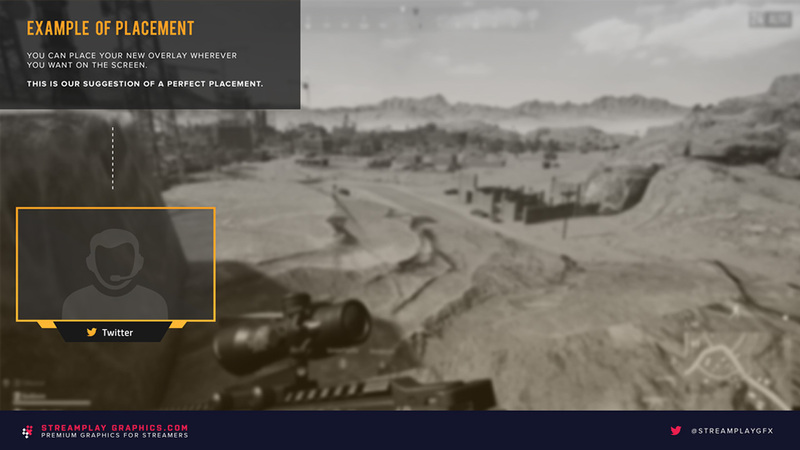 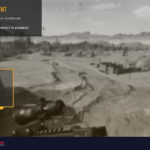 The PUBG webcam overlay is part of a package that includes an in-game overlay, alerts, intermission overlay, an animated stream ending scene, and this cam overlay you’re looking at now. 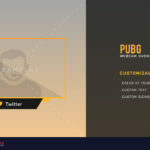 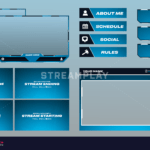 If you’re interested in upgrading your other stream graphics while keeping a consistent and professional look, then check out the PUBG Stream Package here for a package deal.